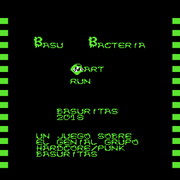 I share some screenshots of Basu Bacteria, a Krazy Kreatures hack Im working on / 90% done... What you think? I Need some help with a specific text section of the original rom, i can't change the color (not appear on PPU Viewer) any help? Which text? The pink/purple? Also, the palettes seem to be duplicated in the PPU viewer. Odd. 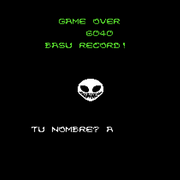 Hi Mister Xiado, this is the white text color i cant change, on the game over screen, any idea? I'll see what I can do. I've been digging through the ROM and changing every instance of 30 to another color value, but so far, nothing has changed the name entry request color. Changing the color in the PPU ram is simple enough, but not knowing where in the program that value is pushed into memory is a pain. 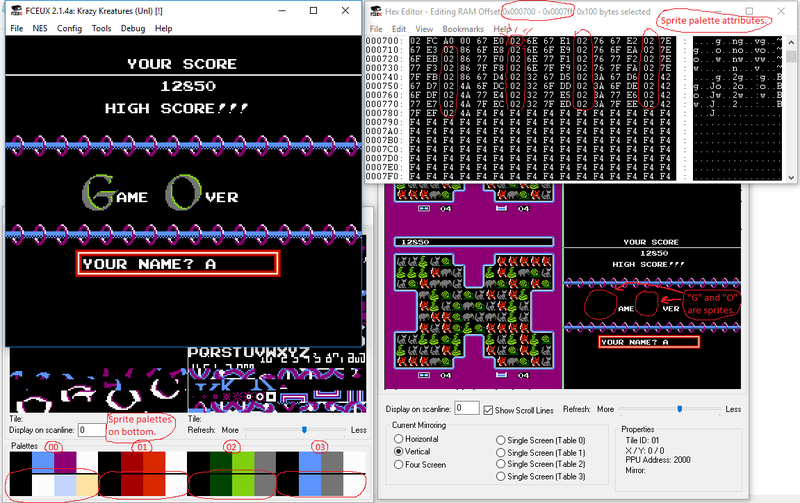 Edit: The game seems to push the palette in right as the screen is loading, and the color sequence isn't listed in the ROM, like you already found. It's at 0x003F07 in the PPU memory when the name entry comes up, but as I have zero history with ASM coding, it remains a mystery to me. Changing values outside of the palette block just starts making the game go nuts. Other little problem is the alien of the same screen, this takes a random color of the previous palette to define a color when this appear, i want this alien on #2A but i think not way to do this possible. Now i trying to edit the sound of the game, I found every code of this and I change some audios or mute something right... 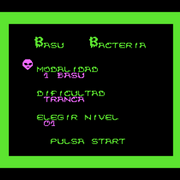 The music of the original rom is very simple and short, but understand the lenguaje of codes used for the programer is very hard! I have a music background knowledge but this man use your own way i think, may be I need read and learn some more of nes sound edition. You're welcome. Sorry this seems to be needlessly complicated, and I thought I would be able to pin it down, after changing the color that the flashing Blaster Master logo stops on. Well, I wish you the best on making new music. I can compose music about as well as I can see through stone. I took a look, and hopefully I found it and am not missing something. If I am, please let me know. 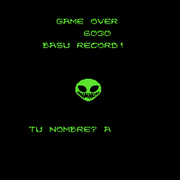 The palette values for the Game Over screen are not a normal palette with sequential values, but rather, retrieved from code. Change 30 to 2A at 0x1696 in the ROM file to change the white text to your intended green. One more question, maybe you know an easy way to do this: at the same screen, the image letters G and O takes the color of one of the colours of the last level played, you think i can take this colors for example for the players pointers or something not change in every level? I need this letters everytime with the same color. Hope you understand my bad english! To use the palette for the pointer, we would have to look to see if we can find and change the sprite attributes. I found that the sprites for this game are within the $0700-$07FF range in RAM. As we can see, there are a bunch of "02" values found within that range, in an organized manner (because each sprite consists of four values, including its X and Y position values, the graphical tile used for the sprite, and which part of the palette is used for it). 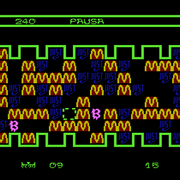 With the PPU Viewer, it can be seen that the third quarter of the sprite palette is what the "G" and "O" uses. Considering values/identifiers of 00, 01, 02, and 03, we can break the sprite palette up into groups of four values each. So, I used the first "02" attribute value that I could see within the sprites range, since the attribute for the sprite is what we're trying to change, at $0706 in RAM, to set a conditional write breakpoint. I assumed the value of "02" that we're looking for would be loaded into the Accumulator register, so my condition is "A==#02". 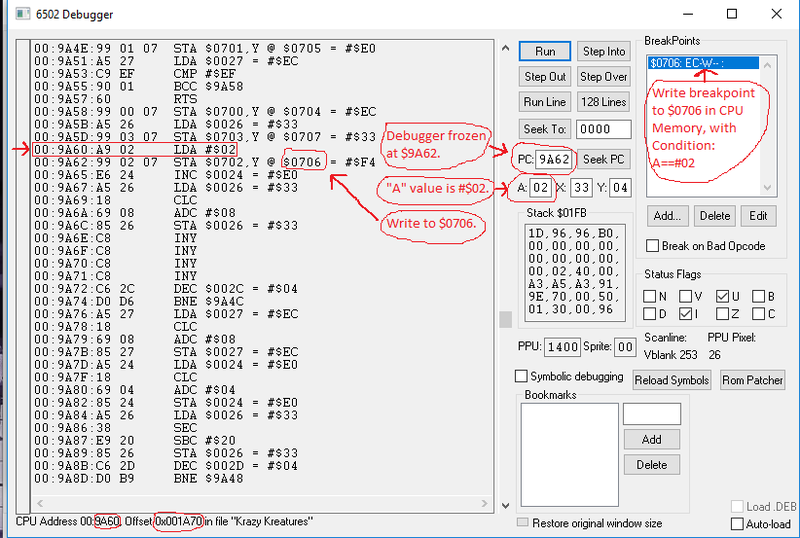 When transitioning to the Game Over screen, the debugger froze at $9A62 in RAM. When scrolling up, a line of code where a load of a value of "02" is found, unlike previously when the load wasn't found in the nearby code, and was actually in a different area that we located by referring to the stack. $9A60 in RAM is 0x1A70 in the ROM, so let's look there. 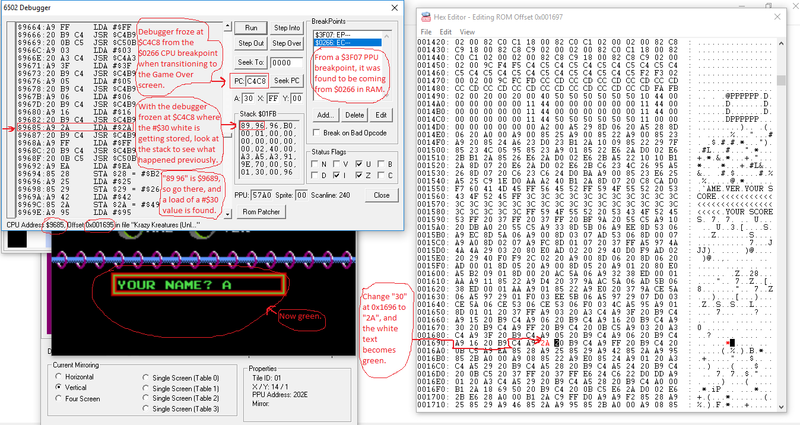 Since the pointer uses the first quarter of the sprite palette, let's try to change the 02 to 00 at 0x1A71 in the ROM file. Following this, I reloaded a save state that I made on the fourth level and lost again. 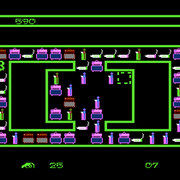 After transitioning to the Game Over screen again, the "G" and "O" sprites appeared different. Looking closely, the insides of the letters were now pink instead of grey, and the outer borders were light blue instead of light green. Looking within the $0700-$07FF range in RAM, the values that were originally 02 are now all 00. Therefore, it is reasonable to conclude that the change we intended to make was successful. As you pointed out, the third quarter of the sprite palette (02) was different depending on which level you got a Game Over on. However, it seemed that the first quarter of the sprite palette (00) was always the same. So, hopefully this is the change that you wanted. This looks really cool, can't wait to give it a spin when you're done. Thanks a lot Quick Curly! You are resolve 2 impossible brain puzzles for my knowledge, both solutions found perfectly! Thanks for your interest Googie!